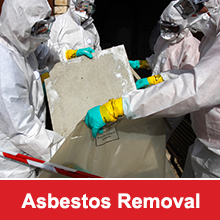 The Best Materials to use for your Commercial Roof in Australia	Where does Asbestos go when it has been Removed? The roof of your building or home is an important and expensive asset. This is particularly true in light of everything that your roof protects. In the process of considering which roofing contractor to hire, it is important to remember that experience counts. It is always better to seek out roofing contractors who have been actively involved in the industry for years, who have a workforce of experienced and loyal employees, and who can provide a large and diverse list of previous projects handling a variety of different types of roofing materials. One of the most important reasons for hiring an experienced contractor is that there is a good chance they have seen it all when it comes to roofing problems. After many years of installing and repairing roofs of all sizes and types, an experienced contractor will have encountered almost every challenge imaginable. Additionally, an experienced roofing contractor will be able to identify potential risks in an effective and efficient manner while also implementing solutions that are designed to mitigate on-site hazards. Not certain as to the best solution for your current roofing problem? An experienced roofing contractor will be able to provide you with the answers you need. Whether you need advice regarding the best roofing material to choose or even whether it is best to replace or repair your roof, an experienced contractor can provide you with the guidance you need. In searching for a local roofing contractor, you may note that one of the differences that seems to separate some companies is the claim to provide quality workmanship. This is no small matter. Experienced roofing contractors have typically developed strong professional relationships with the top manufacturers in the business. As approved installers, such contractors will have knowledge of the latest and best roofing materials available on the market. Furthermore, they will know how to install those materials in the best manner possible to ensure you get the longest use possible from your new roof. Additionally, due to established relationships with leading manufacturers combined with high-volume pricing, an experienced roofing contractor may also be able to provide you with a better price. Hiring a less experienced contractor can often appear to be the perfect solution for saving money. In the end; however, you will often end up spending more money. A less experienced contractor may attempt to cut costs by cutting corners and taking short cuts. This can lead to delays and even put the safety of your roof at risk. Experienced contractors understand that there are no shortcuts to quality. At that the same time, years of continual improvement allows an experienced contractor the ability to provide you with quality work within a shorter time frame. Finally, an experienced roofing contractor will not hesitate to provide you with a comprehensive contract that outlines the services to be performed while also including a warranty on the labour as well as the materials. Ensuring that you hire only the most experienced roofing contractor possible will pay off significantly in terms of cost savings, quality, and peace of mind. 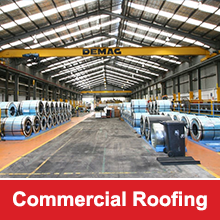 If you are in need of an experienced roofing contractor in the Sydney area to handle your large industrial, warehouse or commercial roofing needs, contact R.O. Steel Roofing. We have been constructing, removing and replacing roofs in Sydney for over 35 years. Our qualified team can speak with you about your concerns and offer effective solutions. You can contact us via the contact form on our website or by calling (02) 9660 5937.